I have wanted to go to Potters Resort for a long time, but something has always held me back – the price! At just over £750 for a 2 night break for 2 Adults and 1 Child it certainly doesn’t come cheap. I am not averse to spending money; I just like to be able to see what value I am going to be getting for my money in advance. With Potters, it seemed expensive and I didn’t really fully understand the product so I guess that was what has always held me back from booking. Recently we were invited along to do a Potters Resort Review and I jumped at the chance. Hindsight as they say is a wonderful thing. I wish I had realised a lot sooner what Potters Resort had to offer and I wish I could go back in time and tell myself to make that gamble on booking; push myself into going sooner, because now I know what I have been missing all along – and I can’t quite believe I let it happen! Potters Resort really understand what makes families tick. The Potter Family have been catering for tourists since 1920 and they really know what makes a good holiday. 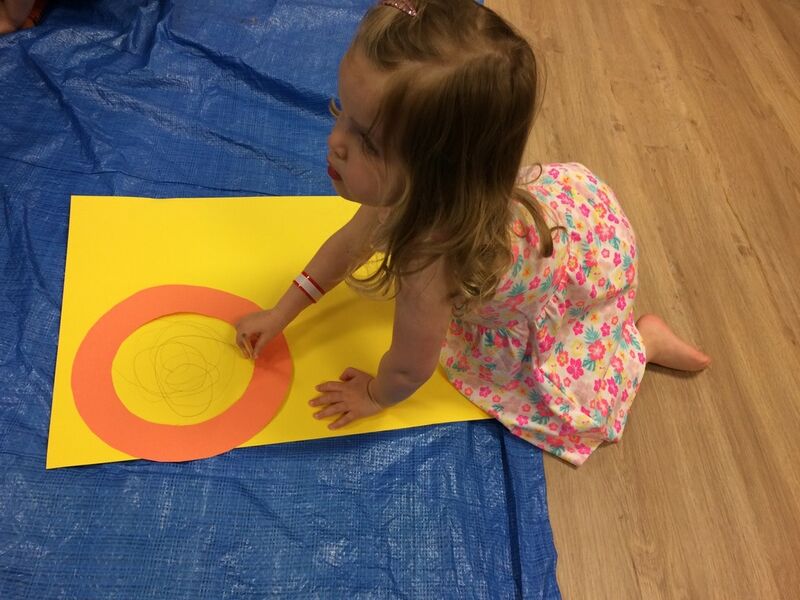 They offer a whole of inclusive activities to ensure that all ages are kept busy during the day. 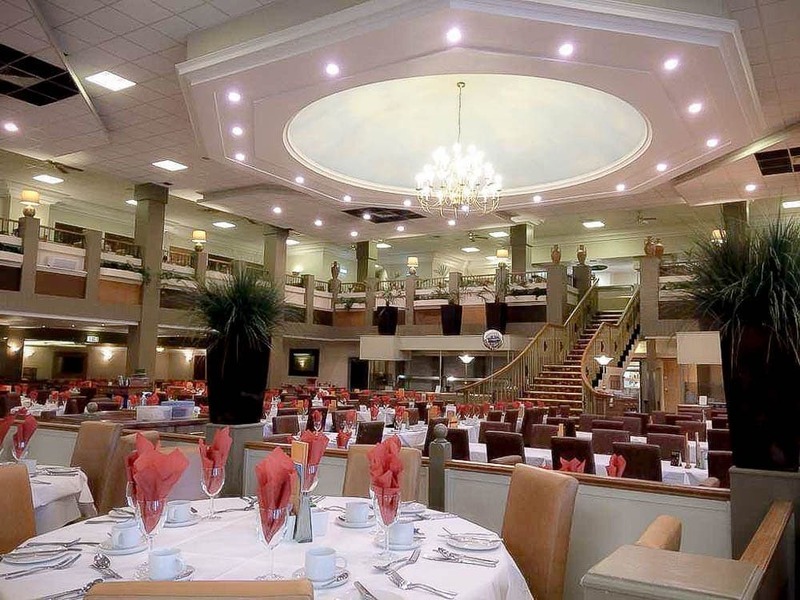 They offer amazing food in abundance; 3 course lunches and dinners and a buffet breakfast every morning. We were so full for the whole time we were there. They also offer world class entertainment; the shows we saw by Potters Theatre Company would have been worthy of any West End stage; I particularly enjoyed ‘A Night At The Movies’ and the Take That Tribute Act. Potters Resort has achieved the highest accolade in tourism from enjoy England since 2002 by being awarded ‘5 Star Holiday Village Status’ ~ the first in the UK. Potters Resort has also achieved the highest accolade in tourism from the English Tourist Board, together with many other prestigious awards recognising the variety of facilities and wide ranging choice of holidays and short breaks. As we checked in at the resort it was pretty clear that most people knew the staff by first name and likewise the staff somehow managed to know most of the customers; this told me that not only have the customers been before, but they have been a lot. I asked at reception and was told that roughly 87% of business is repeat customers. Its no wonder you don’t really see Potters advertised anyway; with customer returning in those sorts of numbers they don’t have to! Potters Resort staff are a real asset to the place; so friendly and really do everything they can to make sure that the guests are happy. The check in was swift; we were given our room key, a map and our itinerary letting us know everything that was on offer on the resort and our meal times. I liked that there was a 20 minute parking bay for you stop in while you were in reception checking in; it was nice to be able to just leave the car right outside, check in and then drive to the car park nearest to our hotel room to unload. We were lucky enough to be given a Premier Room. The room was amazing. It was bright & airy, had some lovely local photos on the wall, plenty of space for Miss H to run around and play in, a huge bathroom with complimentary toiletries, tea and coffee making facilities, a TV, a super king size bed, a single bed for Miss H and a lovely little terrace with table and chairs. After checking in, we decided to head to the Terrace Bar for lunch as lunch is only included on each full day (so being arrival day we had to purchase our own). The lunch was really nice and very reasonably priced. After lunch we decided to try our hand at some of the on site activities and we found the Giant Army Inflatable Assault Course. Mr H had a go despite and did really well, he was so fast over all the obstacles. Miss H and I were a little less successful in our attempt! Next we all had a go at Indoor Kurling; as we were on an Easter Break the activities were mainly family orientated. The Indoor Kurling was great fun and its always brilliant to try out something new; but we were really bad at it so we were out in the first round of the competition! We decided to get our bearings a little after this and went for a little walk around the resort. We found a lovely little park and Miss H burned off some excess energy. We then went to check out the swimming pool as there were not many activities on at that time which were age appropriate for a 3 year old. We were a little disappointed with the pool area as it was a little tired and dated so we decided against a swim. After our walk we headed back to our room for a little rest before dinner and the evening entertainment began. Dinner at Potters Resort resembles what I imagine it would be like to dine on a cruise ship. There is a very grand restaurant with staircase in the middle, high ceilings and chandeliers. The 3 course menu had a couple of starter options, plenty of Main Courses that could be served to your table or a carvery option (which we both seemed to take every time) and plenty of choice for Dessert. Miss H is very fussy and did not like any of the vast options on the Children’s Menu; the staff were very accommodating and swiftly offered her an alternative that she loved. Lunches were the same as dinners; 3 courses & a buffet option. They also had a kids sandwich station at lunchtimes which was brilliant as sometimes kids just want a lighter lunch rather than a heavy meal. After dinner we made our way to the Terrace Bar which had Bamboozles Funtime which was basically a mini disco with party games such as musical bumps. Miss H was absolutely in her element and really loved it. After the kids disco we went into the Atlas Theatre for the evening entertainment. The theatre is very impressive; very grand and beautifully decorated. The theatre has its own resident comedian/compare Mark Brewer who really engages with the guests and provides a brilliant warm up to the evening shows. Mark certainly can conjure up the most amazing atmosphere; while we were there he did ‘The Patriotic’; he gave out Union Jack flags to every audience member and had them up on their feet singing Land of Hope and Glory and other traditionally British numbers; it really uplifting and spine tingling to be part of. After the warm up of Mark Brewer the Potters Theatre Company took to the stage for the evenings Showtime. The show was various well known musical numbers with a big live band, amazing vocalists and fantastic dancing. The shows at Potters really would be worthy of any West End stage. After the show we went back to the room and had a great nights sleep. The next morning we headed to the restaurant for a lovely buffet breakfast before going our separate ways; Mr H went for indoor bowls coaching and Miss H and I went to a Charleston dance class and then a toddler craft session where we made an Easter Bonnet! We meet up again at lunchtime, already stuffed from the previous evenings’ dinner and this mornings breakfast! Having had a lovely lunch and then decided to take a look around the local area. We drove into Great Yarmouth and had some traditional family fun at the seaside arcades and rides, before heading back to Potters Resort. Talking of traditional family fun, we recently had a lovely time at Forty Hall in London which is FREE to visit! When we got back we got changed and ready for dinner then had a lovely meal. 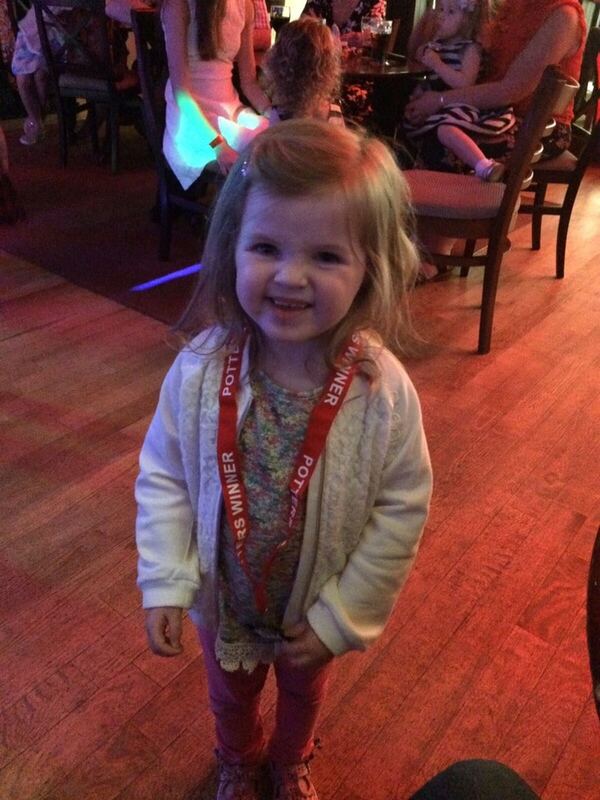 We went to the mini disco again and Miss H was over the moon to win a medal for her musical bumps. We then headed into the Atlas Theatre. Miss H was one of the many children to join Mark Brewer on stage. After the warm up was the evening entertainment which Mr H could not tear me away from. It was ‘A Night At The Movies’ followed by a Take That Tribute Act. I was literally in my element. The performers in the Potters Theatre Company really are top quality and the show was amazing; again backed by an incredible live band with amazing costumes and dance routines. At around 23:45 we headed back to the room for a peaceful nights sleep. The next morning we woke up, had breakfast and then checked out. We thoroughly enjoyed our time at Potters Resort & I would not hesitate to book again. The highlight for me was the entertainment it really was world class. Disclosure: We were given our break at Potters Resort for Free in exchange for this review. My reviews are always honest personal accounts. I’ve never actually heard of Potters (which makes sense I guess as you said they don’t need to advertise much) but id sounds like a GREAT holiday! 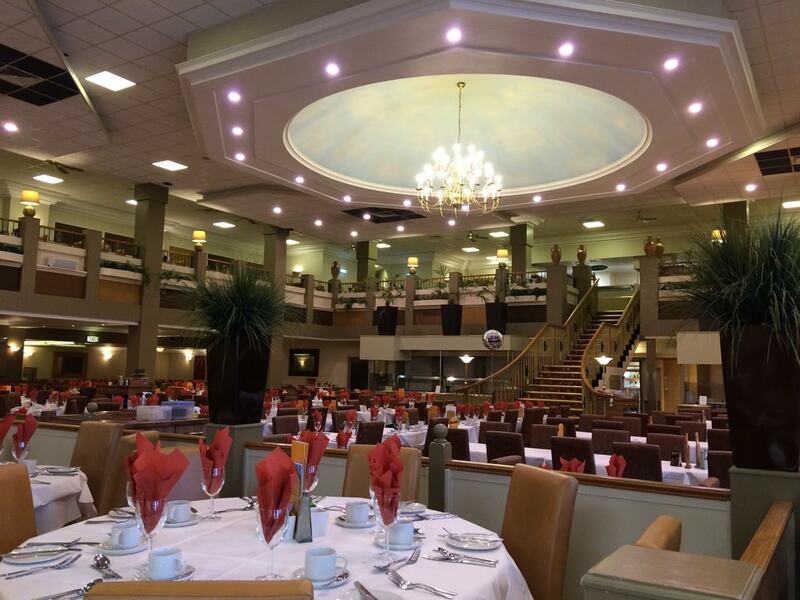 The dining picture really does look like a cruise ship! I’ve never heard of this before, however it sounds fantastic, and looks really nice too. My boys are desperate to go back to Potters. It was one of the BEST holidays that we have been on as a family. I might even take them on my own during the summer with the husneast is working and that is not something I would consider anywhere else! How have I never heard of this place? It looks brilliant! Wowsers, what a lot to do. It does sound like a cruise ship without the floating ? All the repeat custom is such a good sign. Wow this place sounds awesome! I hadn’t heard of it before but I’ll definitely consider it now. All those guests going back again is such an accolade. It looks so grand, I can see your cruise ship comparison. I especially loved the bedroom. It would be perfect for us. So often we struggled with the bed situation on holiday but that would be perfect as my 5 year old could have the single and my 2 year old could fit between us in the super king. This looks like a fab family getaway we are always on the look out for new places to stay so off to investigate further!